Guennadi Malychevski was born in Moscow in 1981. He started his musical education at Moscow's music school for gifted children at the age of six. At the age of fourteen he was accepted at Shnitke's Institute of Music. He specialized in Choir, Conducting, and Piano. After graduation he got interested in modern music production and spent his last year in Moscow working for the audio post-production facility, MOSFILM. In 1998 he moved to Canada where he began a career as a recording artist. In 2001 and 2003, he released two albums with his band NPSProject. Meanwhile, he pursued a career as a studio engineer, sound designer, and composer. In 2004, he worked on his first project with Alex Khaskin (Salieri Music Inc.), "Greatest Canadians: John A McDonald" as a studio engineer and a co-writer. After this project's successful completion, Guennadi began a full time job with Alex Khaskin. Since then he has been involved in all of Alex Khaskin's projects, including "Across the River to Motor City", which was nominated for 2008 Gemini Awards for the best music score in Drama: Mini Series or Program category. 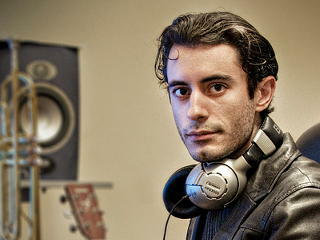 Ilya Kaplan is an emerging sound designer, recording artist, and composer. His most recent sound design credits include a VST Sound library titled "Score Fx" created for a world-renowned sample CD distributor, Ueberschall. He is currently working on a second title for the same company. As well as being a musician, Ilya is an avid graphic artist and singer, but his passions lie with writing music and sound manipulation. 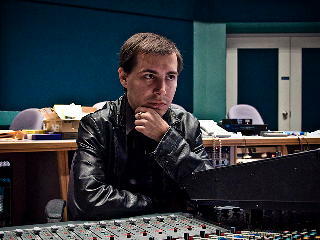 Ilya's debut in film scoring came in 2004 with a show for the CBC called "The Greatest Canadian" to which he contributed various tracks and sound ideas. He has since been working closely with Alex on many projects. Copyright © 2008 Alex Khaskin. Web site by Michael E. Cimilyan.